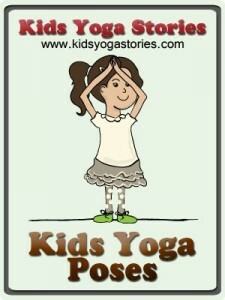 Can you imagine a large group of four-year-olds all focused and engaged in yoga poses with their teacher? Yes, Jodi is one of those teachers who is making this happen. 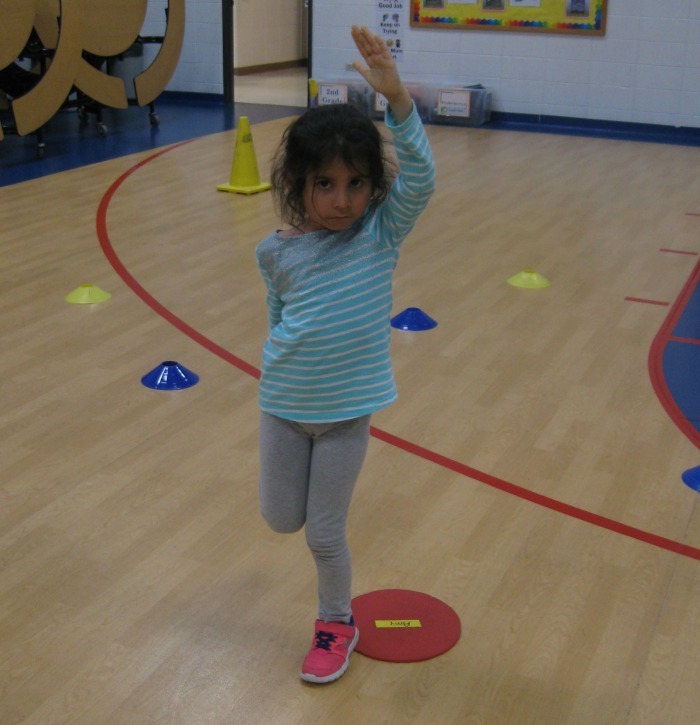 Jodi is a PE teacher and provides 15-minute yoga games for four different Kindergarten to 2nd Grade classrooms at her school. And as far as I’m concerned, she’s rocking it! 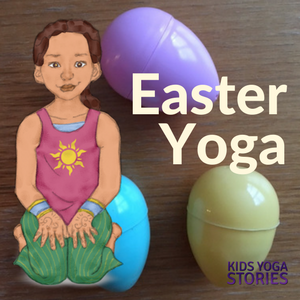 I spoke to Jodi on the phone and I’d love to share with you how she structures her yoga breaks for young children in the hopes that her program will inspire you, too. Or maybe you’ll have some of your own ideas to add to the bottom of this post. Jodi makes her own yoga dots by cutting eight circles out of an actual yoga mat, a different color for each grade. I’ve heard of teachers who buy yoga mats for as little as five dollars at local discount stores, like Five Below. 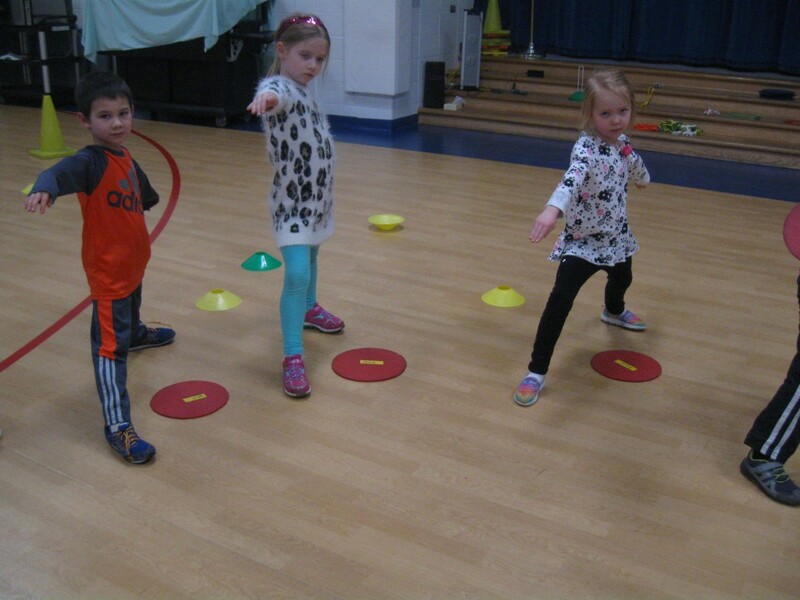 The children use the yoga dots, instead of yoga mats. It saves room and then she’s not lugging around yoga mats. Also, she writes each child’s name on each yoga dot, so she can quickly space out the yoga dots before the children come into class. She can decide which children are best next to each other and others who might benefit from being further away from each other. 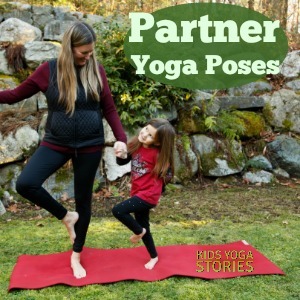 This part of the process, Jodi says, is crucial to making the best out of their 15-minutes together and they can get right into the yoga practice and limit the time for setup. Place one yoga pose card under each yoga dot. Play classical music, like Beethoven, and have the children move to the music. 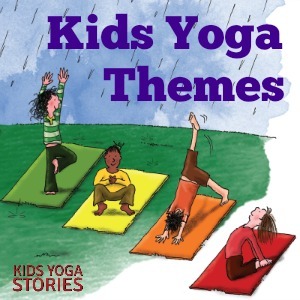 When the music stops, each child looks under their yoga dot, and practices the yoga pose on the yoga card. Place one yoga pose card on each yoga dot. Once everyone has a chance to look at their yoga card, then everyone walks around to find someone else who has the matching color band (category) on their yoga card. Once the partners are united, they can practice the poses together. 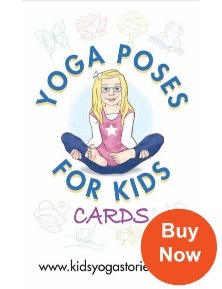 Give out a yoga card to each child. Then, the children walk around to find someone who has the same color shirt (or eyes, pants, shoes, etc). Once everyone is matched up, the partners practice the poses on their cards together. 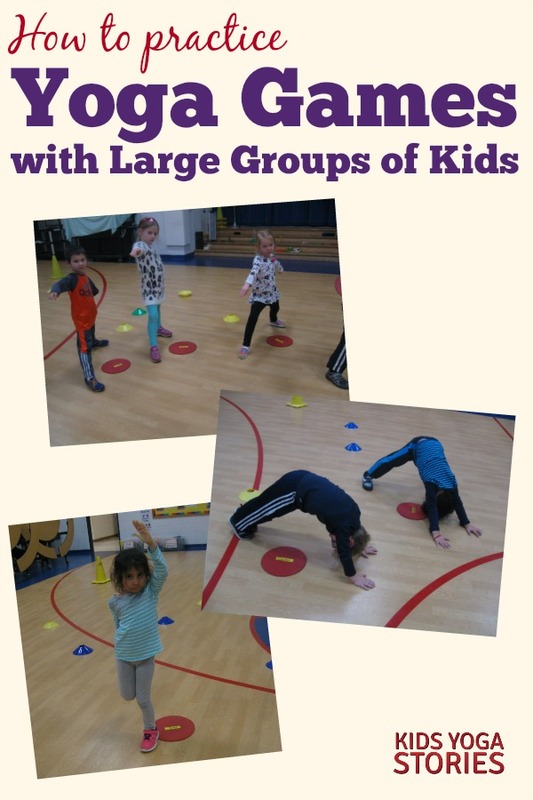 First, watch this YouTube video from Benjamin Pirillo of TeachPhysEd on how to play Fitnopoly. 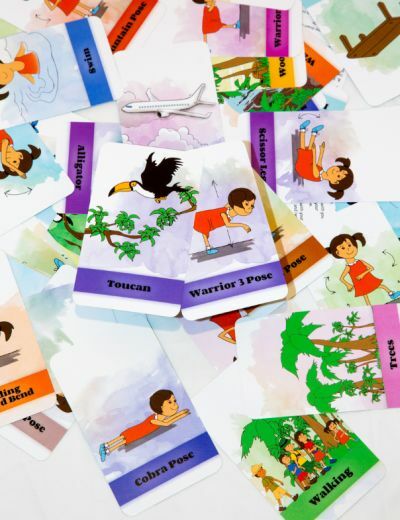 Jodi adapted this Fitnopoly game by putting one of yoga cards under each yoga dot. Her students practice the yoga pose under each yoga dot, then roll the dice to move on to the next yoga pose-yoga dot. She says that it’s a great game to integrate math + movement. Half the students are trees and hold Tree Pose. The other half of the students are the wind and gently travel in and out of the trees. Another exciting project that Jodi introduced to her Kindergarten to 5th Grade students was to integrate yoga into their Winter Fest. 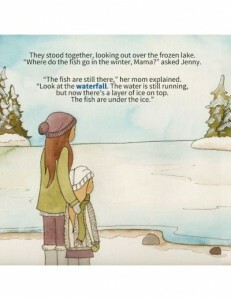 This was a school-wide initiative to bring all the children together in the gymnasium to celebrate winter. Jodi had a great idea to add yoga and literacy to the program! 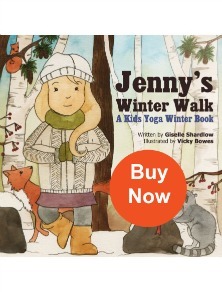 Jodi projected the pages of our Jenny’s Winter Walk yoga book onto a large projector. 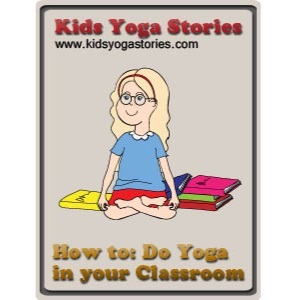 The grade five students read out the winter walk story, and helped the younger students to practice the yoga poses. 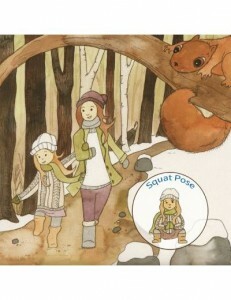 They all acted out what they saw and experienced on a pretend winter walk with the characters in the yoga book. 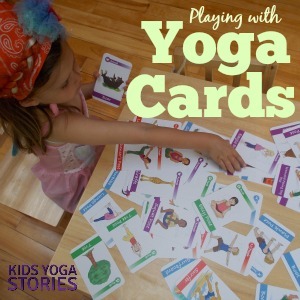 Jodi says that this group experience was a fun and active way to integrate yoga and literacy with multiple ages. 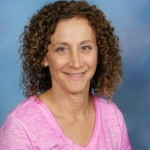 Jodi Barasky has taught Physical Education and Health to Kindergarten through 8th graders in the Chicago area for more than twenty years. Though she is an avid Chicago sports fan, in her classes she emphasizes team and individual sports as a lifetime pursuit rather than strictly as a competitive activity. 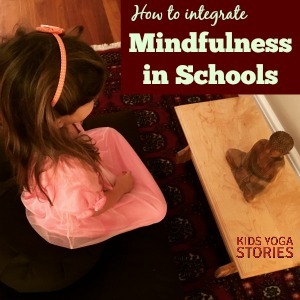 One of her favorite innovations is a curriculum that explores the benefits of yoga for all of her students. She is always delighted to see her students realize that the concepts, themes, and skills of yoga have meaning in their own lives. Whether it’s through yoga, dance or traditional team sports, Jodi strives to build a personal relationship with each one of her students and encourages them to reach their own personal fitness levels. Find Jodi on Twitter. 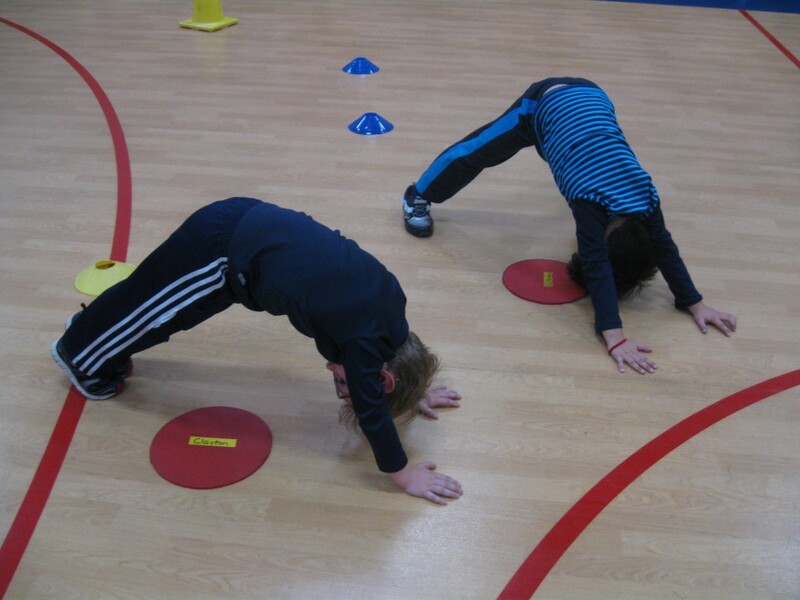 This yoga game idea comes from Carrie, who is a PE teacher for a primary school. 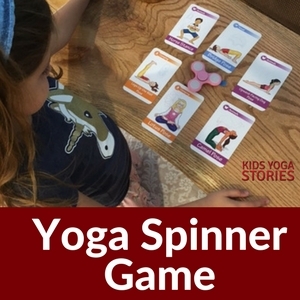 She has generously offered to share this fun yoga game with our community. Remind the taggers that their job is to tag another child in a gentle way. You could even give them a ball of yarn to use for tagging, to ensure a gentle touch. Once a child has been tagged by a tagger, she places her hands on her head. The tagged child waits for a defroster to come over. Together, they take one yoga pose card and practice the yoga pose together for three to five deep breaths. 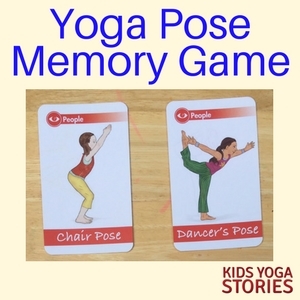 Once the defroster and tagged child finish their shared yoga pose practice, then the tagged child becomes a defroster and the defroster becomes a runner trying to get away from the tagger. Carrie says that her class loves this yoga game because of the constant movement coupled with a stop to practice a yoga pose slowly. 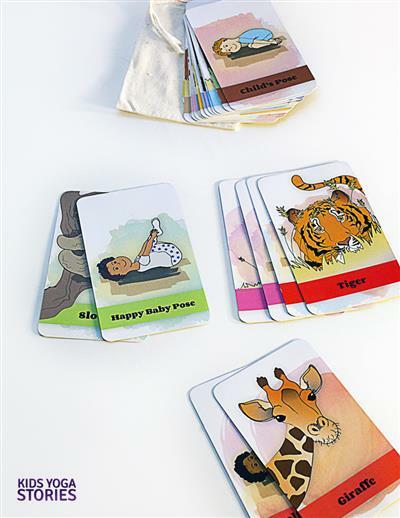 You could also use breathing exercise cards or partner pose cards for the defroster/tagged partner practice. 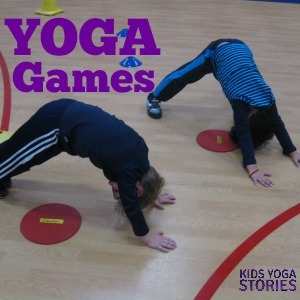 Do you have any other yoga games to share with our community? Feel free to email me directly with your ideas! Hello Giselle! My name is Isabel Dubuc, I’m from Caracas, Venezuela. I just love you website, it’s so usefull for my work and family. I recive your mails. Thanks you. I’m sorry because I can’t purchase anything, in my country we have no free access to foreing currencies, so I have to enjoy (and I’m happy with it) your free content. Thanks again! !